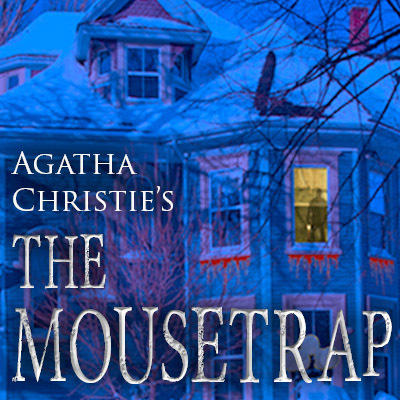 Lamplighters Community Theatre presents a play based on Agatha Christie’s famous novel about a group of strangers trapped in a boarding hose with a murderer among them. Friday and Saturday performances at 8 p.m. Sunday matinee performances at 2 p.m. Tickets are $20 for adults; $17 for seniors, students and active military. Groups of 210 or more are $15 each. Available online at bit.ly/2EIdx8bor by phone at 619-303-5092. Lamplighters Community Theatre, 5915 Severin Dr., La Mesa. Helix Scotties take on West Hills High School in a conference game. 7 p.m. at Helix Charter High School, 7323 University Ave., La Mesa. Grossmont Foothillers take on Granite Hills High School in a conference game. 7 p.m. at AGrossmont High School, 1100 Murray Dr., El Cajon 92020. Grossmont Foothillers take on Granite Hills High School. 5:30 p.m. at Grossmont High School, 1100 Murray Dr., El Cajon 92020. Acoustic duo The Waits plays a mix of folk, bluegrass, country and classic rock. 7 p.m. at San Pasqal Winery, 8364 La Mesa Blvd., La Mesa. No cover. Helix Scotties take on Lincoln High. 6 p.m. at Helix Charter High School, 7323 University Ave., La Mesa. Miss Judith Ann Merel brings an evening of humor and pathos as she recounts her story of survival. Through her storytelling, music and photos, she shares the ups, the downs, the ins and outs of her journey growing up as the daughter of one of the most talented and beloved Cantor’s in the world of Jewish music. 7 p.m. at Lamplighters Community Theatre, 5915 Severin Dr., La Mesa. Tickets are $10, available online at bit.ly/2mF0aPG or by phone at 619-303-5092. Grossmont College presents a unique show that will enlighten performers and audiences alike on how to enjoy classic theater from the likes of Moliere, Ibsen, Chekhov, Shakespeare, and Goldsmith. Many an actor has found themselves face to face with the classics and felt the immediate instinct to run screaming back to plays written without all the “Thou and thee and hither and yon.” But what happens when we approach these works the same way we look at modern realistic plays where people speak like we do? What if there was a way to de-mystify the language and discover the joy with which they were written and originally performed? Feb. 2–3 at 7:30 p.m.; special matinee show on Feb. 3 at 2 p.m., at Grossmont Stagehouse Theatre, 8800 Grossmont College Dr., El Cajon 92020. Cost is $10. Tickets available at box office or bit.ly/2mc4m9m. Helix Scotties take on Granite Hills High School in a conference game. Grossmont Foothillers take on Steele Canyon High School in a conference game. 6 p.m. at Grossmont High School, 1100 Murray Dr., El Cajon 92020. Grossmont Foothillers take on the Helix Scotties in a conference game. 7 p.m. at Grossmont High School, 1100 Murray Dr., El Cajon 92020. Grossmont Foothillers take on the Helix Scotties. Andrew Parker Davis plays a mix of Americana, pop and soul covers and originals. Country music legends The Oak Ridge Boys play Sycuan Casino, 5469 Casino Way, El Cajon 92109. Show starts at 5 p.m. Tickets are $59–69, available at sycuan.com. Solana Center hosts a free two-hour composting workshop that will cover the basics of traditional composting and vermicomposting (composting with worms). Learn what composting is and why it’s so important to do, what tools and materials you’ll need, which items are or are not compostable and how to harvest and use your compost. Space is limited. Preregister online at bit.ly/1MLi88H or call 760-436-7986, ext. 700. 10 a.m.–noon at the Water Conservation Garden, 12122 Cuyamaca College Dr., El Cajon 92109. 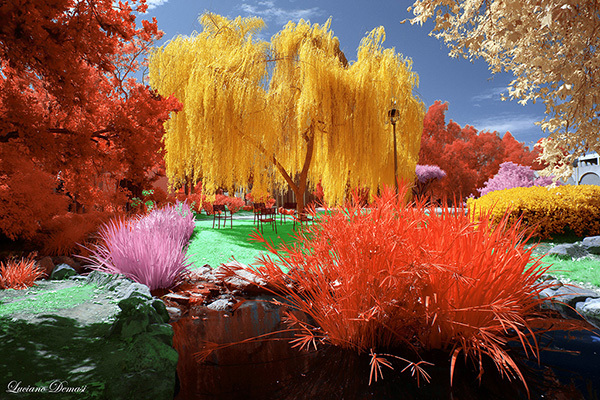 The Mission Trails Regional Park Foundation presents a fine art exhibition titled “The Invisible World“ by award winning photographer Luciano Demasi. The public is invited to a reception in honor of the artist on Sunday, Jan. 4, noon– 3 p.m. at the Mission Trails Regional Park Visitor Center Art Gellery, 1 Father Junipero Serra Trail. This exhibit will be on display Jan. 23–Feb. 23. Learn how to get income from your home. If you or your parents are “house rich and cash poor” and would like to receive a meaningful income without moving, then you need to attend this free informative seminar. A free consultation is available. 10–11:30 a.m. at the Sharp Health Plan, 8520 Tech Way, San Diego. Registration required. Call 1-800-827-4277 or register online at sharp.com. Grossmont Foothillers take on Valhalla High School in a conference game. La Mesa Chamber invites you to an open house and evening mixer at Wells Fargo Bank – Grossmont, l5500 Grossmont Center Dr., La Mesa. Bring your business cards to share and mix and mingle with other members and business owners, as you sample light hors d’oeuvres and enjoy beverages that will be served during this open house and evening. This event is free to all Chamber members and $10 per person for guests. The fun begins at 6 p.m. RSVP to rsvp@lamesachamber.com or call 619-465-7700 ext. 2. Family caregivers can find out about health and community resources, placement options, support groups and learn about emotional issues of caring for a loved one. This free class is presented by Andrea Holmberg, coordinator of the Sharp Grossmont Senior Resource Center. 2:30–4 p.m. at the Sharp Grossmont Hospital’s Brier Patch Campus, 9000 Wakarusa St., Rooms 13 and 14, La Mesa. Registration required. Call 1-800-827-4277 or register online at sharp.com. Dementia causes memory and visual changes that impact the ability to drive safely. Learn about methods for evaluating driver safety, transportation resources and tips for having difficult conversations about driving from Amy Abrams, community education manager for Alzheimer’s San Diego. 1–2:30 p.m. at the Grossmont HealthCare District Conference Center, 9001 Wakarusa St., La Mesa. Registration required. Call 1-800-827-4277 or register online at sharp.com. 9 p.m. at the Riviera Supper Club & Turquoise Room, 7777 University Ave., La Mesa. No cover. Jim Earp plays Hawaiian and Celtic music on steel string guitar, mixed with 70s folk rock covers. 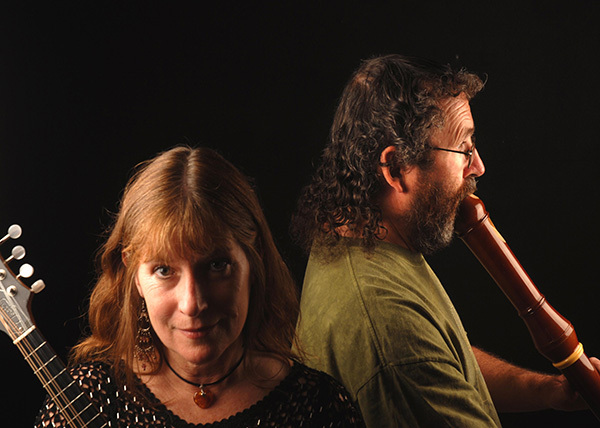 Celtic and world music duo Four Shillings Short play an eclectic mix of styles incorporating over 30 world music instruments. 4 p.m. at Unity Church of El Cajon, 311 Highland Ave., El Cajon 92020. Donation of $10–15; children under 18 are free. Grossmont Foothillers take on Santana High School. Celebrate American Heart Month by attending this free seminar to learn about the risk factors for developing heart disease. David Zetts, BS, exercise specialist for Sharp Grossmont Cardiac Rehab, will go over the steps you need to take to maintain a healthy heart and happy life, including the crucial role of exercise, mindset and nutrition. 10–11 a.m. at Grossmont HealthCare District Conference Center, 9001 Wakarusa St., La Mesa. Reservation required. Call 1-800-827-4277 or register online at sharp.com. Grossmont Foothillers take on Hilltop High School. 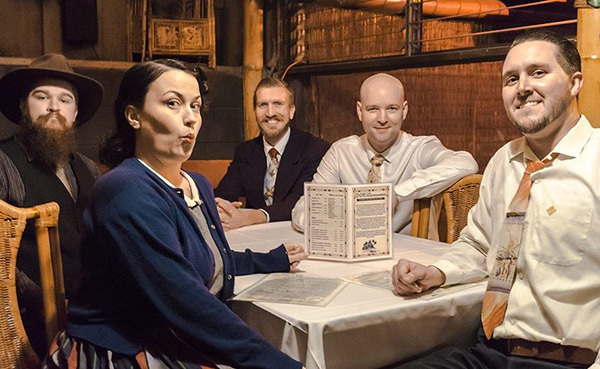 Stage IV Jazz plays a variety of jazz standards and R&B classics. Country, Americana and folk music. Guest speaker and master gardener Marcia Van Loy will share her insights on attracting pollinators to your garden. 4–6 p.m. at Nan Couts Cottage, 5045 Memorial Drive, La Mesa. This free event is open to the public. Visit lamesabeautiful.org. La Mesa Chamber of Commerce members and the public are invited to this special breakfast meeting with San Diego County Supervisor Dianne Jacob to discuss the important issues that affect the community. 7:30–9 a.m. at Marie Callender’s, 6950 Alvarado Road, San Diego 92120. 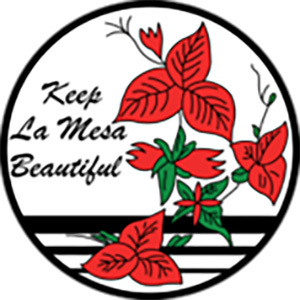 The breakfast price is: La Mesa Chamber members $15.00 a piece; potential members and guests, $20.00 a piece; and all at door attendees, $25.00 a piece. Reservations may be made via lamesachamber.com or by calling 619-465-7700 ext. 2. 1980s groups Warrant and Quiet Riot team up for a night of metal. 8 p.m. at Sycuan Casino, 5469 Casino Way, El Cajon 92019. Tickets: $59–69, available at sycuan.com.